23 an Dàmhair - Chaidh Kingston (Tennessee) a stèidheachadh. 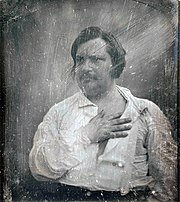 20 an Cèitean - Honoré de Balzac, ann an Tours. Sgrìobhadair às An Fhraing. 29 an Lùnasdal - Angelo Onofrio Melchiorre Natale Giovanni Antonio Braschi, ann an Valence. Pàp bho 1775 gu 1799. 14 an Dùbhlachd - Seòras Washington, ciad cheann-suidhe nan Stàitean Aonaichte. Air a tharraing à "https://gd.wikipedia.org/w/index.php?title=1799&oldid=506032"
Chaidh an duilleag seo a dheasachadh 15 dhen Dàmhair 2015 aig 06:14 turas mu dheireadh.